Indian Well’s version of Magic Monday at Wimbledon with all eight of the women’s fourth round matches on the same day wrapped up on Tuesday. It was a so-so day with two matches unfortunately ended by retirements. I’m reaching the end of the line with Indian Wells already… it’s been a great tournament so far and the quarter-finals left are awesome but the time difference is making it a challenge to follow! 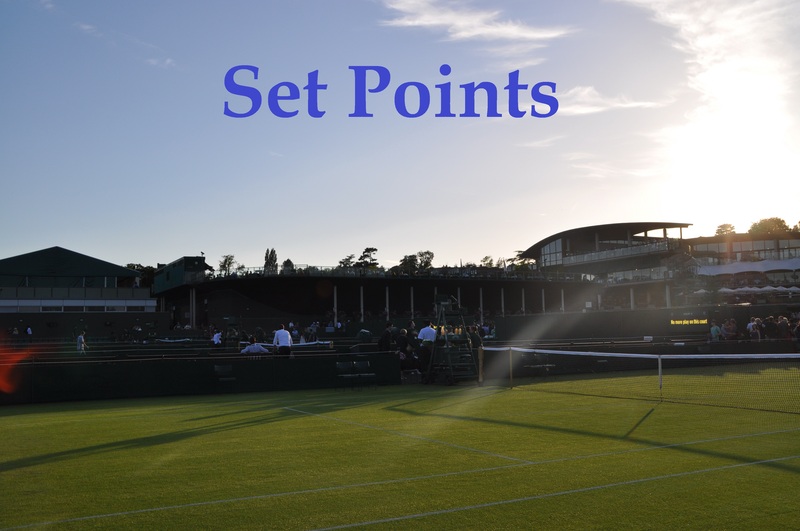 Here are my Set Points from WTA action on day 7 of the BNP Paribas Open in Indian Wells. Daria Kasatkina… she’s proving this week and has done throughout 2016 that she is the real deal. Even before we reach the clay court season, where she has already stated clay is her favourite surface, the 18-year-old Russian is flying up the rankings and edging closer to securing a seeding for Roland Garros. Kasatkina defeated Timea Bacsinszky, 6-4 6-2 on Tuesday and celebrated in style. Kasatkina faces Karolina Pliskova in the quarter-finals as the Czech player rebounded from losing the second set and five straight games in her match with Johanna Konta; Pliskova eventually prevailed, 7-6(2) 3-6 6-3 in two hours and ten minutes for her fourth consecutive win over the Brit. It’s been a good week for Pliskova who had lost both her openers in Dubai and Doha in straight sets. This week has been a series of firsts in 2016 for Petra Kvitova. She reached the quarter-finals of a tournament for the first time and has won three matches in a row, which she hadn’t done since last year’s US Open. Kvitova defeated Nicole Gibbs, 4-6 6-3 6-4 in two hours and two minutes. P3tra has been back in full swing this week; the former Wimby champ hadn’t won a three set match in 2016 prior to Indian Wells but has now won three on the trot. Kudos to Gibbs for a super effort against Kvitova, but also a great tournament overall. The 23-year-old won five matches and will be at a career high ranking next Monday, which could be, depending on other results, inside the world’s top 75. Kvitova plays Agnieszka Radwanska in the quarter-finals, who defeated Jelena Jankovic, 6-3 6-3. Check out this third match point save from Jankovic on one of the best, if not, the best rally of the match. This week’s WTA Insider Podcast has a super interview with Agnieszka Radwanska. It was nice to hear her open up a bit more and also, the correct pronounciation of her name!. There were two retirements on Tuesday with Roberta Vinci and Barbora Strycova both pulling out of their fourth round matches at the start of the second set. Vinci was was troubled by an ankle injury, down 2-6 0-2 to Magdalena Rybarikova, while Strycova was struggling with an illness, down 3-6 0-1 to Simona Halep. Magdalena Rybarikova makes @BNPParibasOpen Quarterfinals. Barbora Strycova has been struggling with a fever the last couple of days. Retires to Simona Halep with an upper respiratory illness. March 16, 2016 in Indian Wells, Set Points, WTA.